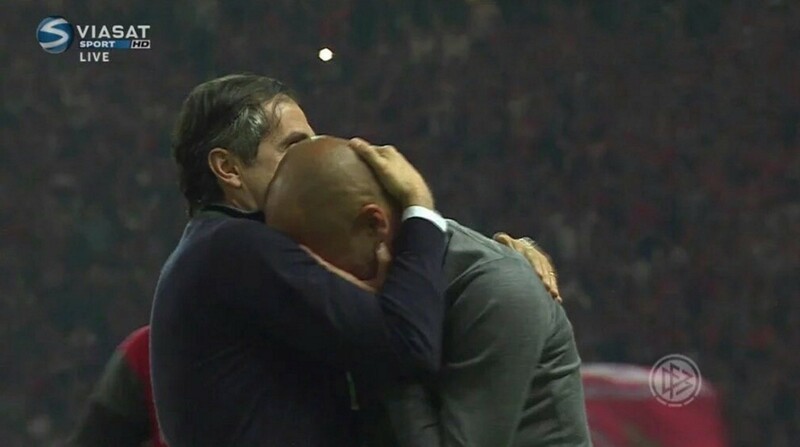 Bayern Munich beat Borussia Dortmund on penalties in the DFB Pokal final to seal the domestic double and send Pep Guardiola off to Man City on a river of tears. Once the final shot was taken, Guardiola broke down in tears. It’s unclear if this was because his time with Bayern was ending on a high note or because he had heard the reports about Jose Mourinho going to Man United. Either way, Guardiola ends his three seasons with Bayern as a three-time Bundesliga winner, two-time DFB Pokal winner, one time Club World Cup winner, and zero time Champions League winner.